Along with a great range of party lighting we also have a range of ambient or wash lighting available for hire. This type of lighting is generally used for lighting a room to match a particular colour theme or just for some softer light when you don't want to switch on harsh fluoroscent lights at your venue. Our ambient lighting can also be used to light up a venue or house externally (see image on right). Why Choose Hire King for your Ambient & Wash Lighting? All our lights are on display at our store and you're welcome to come in for a demo before hiring. All Party light's have a bracket for ease of installation or just hire a light stand from us. If something goes wrong with the equipment during your hire, call our 24 hour hotline and we will come out anytime of the night or day to replace the equipment. Below are the lights we have available along with pricing. If you don't see what you want below give us a call on 6180 3899 and we'll most likely have it! Not sure what you need? No problem! Give us a call on 6180 3899 and let our experts recommend a package that will work best! Our most versatile par can and the star of our ambient lighting range, this 72 watts weatherproof LED par can is totally wireless. The battery is strong enough to power this fixture for over 10 hours on a single colour setting or over 4 hours on a full colour fade or flash function. The lights can also be linked wirelessly so you only have to change the colour/function on one of them to change all lights. We recommend this light for lighting up pillars, walls, pathways or to put around a room to create an ambience. This light can also be mounted on our lighting stands to light up large outdoor areas. 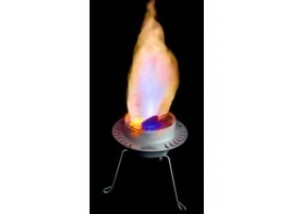 Perfect for stages or outdoor parties this giant flame effects light creates a simulated flame which is 2m tall. The colours of the flame can be changed with the included remote, colours available are red, green, blue and amber. A DMX connection is available for advanced users however we do not provide support for DMX. These innovative battery powered light towers can transform any area or room into a bright vibrant space. Measuring approximately ~1.5m high and with no wires you can place these lights wherever you want, the battery lasts up to 6.5 hours. Colours and functions (including sound active) can be selected from the easy to use remote. These light towers are hired in packs of 4 and include a carrying case. This is a party light which gives mass effect. With 4 individual LED powered lights the lights sync to give an amazing sound activated light show. This party light comes with a stand and foot controller (not needed). Each light is on a swivel mount so can be focused in any direction. This LED Light produces a beautiful wave effect which can be set to one colour or can be left to a fade function (4 different colours). This is a great background effects and ambience light. This light is perfect for use as a coloured spotlight, wash light or as an effects light. You can either leave the light in sound active mode or set it to project a certain colour and create some ambience in your venue. It also has automatic colour fading features. An excellent multi-purpose light. 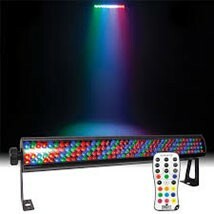 This very powerful LED light is perfect for ambient/wash lights and for stage effects. The light has many functions including one colour mode (including white), sound activated or fade mode. This powerful light features 4 x 30W LED's. It is suitable for wash lighting or as a coloured effects light. 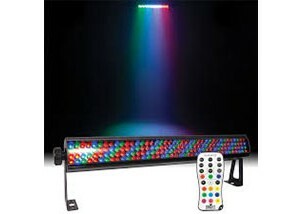 Perfect for theatre, stage production and night clubs. It can also be set to sound-activated through it's built-in microphone. This is a multipurpose light that can be used to simply light up the dancefloor with sound activated colour changing and fading or use this light to create ambience. The light can be set to one colour or can keep fading between colours. Contact us to discuss more about how this light can be a feature at your next function. We have a range of lighting stands for different applications. Most of these stands can hold upto 4 lights.